Who were the first Cappelen-ancestors ? We don't know exactly today - as with so many family names. What we do know is that several persons by the surname von Cappelen (with some slightly different spellings) are mentioned through the 15th and 16th centuries in documents from the little town Wildeshausen in Northern Germany. They were craftsmen and members of the town council and of guilds for shooting and defense. It is difficult to trace their exact lines of descent and relations as the written sources from that time are few and scattered. Where did the von Cappelens originally come from ? Most likely from the little place Cappeln (in the years 11-1200 spelt "Cappelen") some 20 km away from Wildeshausen. We don't know if the Wildeshausen-Cappelens had any links to the medieval "Ritter"-family von Cappelen at the castle "Haus Cappeln" in Westerkappeln near Osnabrück, or to the prominent merchant family von Cappeln in the city of Bremen. The word "von" indicates probably the local origin only, but it might mean some kind of lord of the place Cappel(e)n. The Norwegian part of the family stopped using the "von" in the first part of the 19th century, while in Denmark many relatives still use it. The first proved Cappelen ancestors in Wildeshausen were the town mayor Dietrich von Cappelen and his wife Margaretha Poppe. Dietrich died in 1632 while captured as hostage by Swedish troops during the 30-years-war. His father was most likely Johan v. C., living in the same street ("Langen Viertel") and some times member of the town council. A similar position held Gerdt v. C. one generation before, and he was either the son of or otherwise related to Hinric v.C. who lived in Wildeshausen around 1485. When Dietrich died in 1632, his son Johan v. C. was only 2 1/2 years old. As a young man he was some years in Bremen, but in 1653 he came to Norway. His new country then had an expanding economy and foreigners with know how were welcomed by the authorities. Johan soon married a Norwegian girl, Bodil (Boel) Ottesdatter. Three of their sons survived them and established family branches that still are flourishing. Johan - the immigrant to Norway- made a career that became the pattern for the family members in the centuries to come. Johan was first in industrial business and trade, then a civil servant as sheriff (fogd) of Lier (near Drammen), and he acquired real estates in Drammen and at the countryside. The last remaining von Cappelens in Wildeshausen died there in the 18th century. The three sons of Johan and Bodil were: Johan junior (Branch I) who succeeded him as sheriff, Ulrich Friederich (Branch II) who settled as merchant in Skien, and Gabriel (Branch III) who was a merchant in Drammen. Branch I consists of military officers, local parish priests, civil servants, medical doctors etc. Johan jr.'s grandson Andreas (d. 1786) was a priest in Denmark and he was the founder of the Danish line. Of that line were several merchants in Copenhagen and in some Danish towns. From that line also descend many Cappelens in the US (especially in Kenosha, Wisconsin, and in Florida). One of the Branch I priests was Peter Andreas C. (d. 1800) who became a famous missionary to Greenland. Another member was the well known manager of the Storting (the parliament) administration , Johan H. C.
The Skien branch -Branch II- has always had many members and is divided into several family lines. 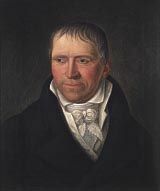 Ulrich Friderich's son Diderich (Diderik) bought some forests that ever since have been in the possession of his direct male descendants by that same name. They are living at Holden manor house and are the owners of Ulefoss iron works (the "Ulefoss-line"). The well known painter August C. (d. 1852) belonged to that line and he had his childhood at Ulefoss. The second Diderich (d. 1794) in Skien was the biggest ship owner in Norway. Many of his descendants were estate/land owners, industry and ship owners, politicians etc. ("Ulefoss- line", "Gjemsø kloster-line" and "Borgestad-line".) His son Didrich (d.1828) was a great land owner (the manors Mæla, Gjemsø kloster, Bratsberg, Borgestad, Rising, Frydendal, and many forests in the county of Telemark, etc). This Didrich was the deputy for Skien to the Constitutional Assembly at Eidsvoll in 1814. Didrich von Cappelen (d. 1828) - "The Eidsvoll Man" from Skien in 1814. A separate family line of the Skien branch is the "publisher line". It descends from Jørgen W.C. (d. 1878) who founded the publishing house with his name in Christiania (Oslo), that was owned by the family until recently. The first publisher Jørgen married a celebrated actress, Fredrikke Helene Schwirtz, of Christiania Theatre. The author Peder W. C. (d. 1992) belonged to this line. Other lines from the Skien branch are the "younger Drammen lines" with several merchants (Cappelen building in Drammen), industry (Eidsfoss and Kongsberg iron works), land owners (manor houses of Austad and Vivelstad) etc. A central person in Drammen was Peder v. C. (d. 1837) who organized the building of the first Drammen bridge. The composer Christian C. belonged to another of these Drammen-lines. Branch III starts with Gabriel v. C. who acquired the great "noble estate" Fossesholm at Vestfossen, so this branch is often called the Fossesholm branch of the Cappelen family. The manor house Fossesholm is today a museum and beautifully restored to the style and time of Gabriel's son, the wealthy timber merchant and estate owner, Jørgen v. C. (d.1785). He and some relatives are mummified and they still lie in their coffins in a private and separate burial chamber at Haug church. While Fossesholm went with a female line, the male lines were merchants, farmers, ships captains, civil servants etc. in the county of Vestfold, in Bordeaux, France, as well as in the US. The famous engineer Fredrik C. who constructed the Cappelen Bridge in Minneapolis, belonged to this family branch. The wives of all these Cappelens came from quite different families: some of Norwegian origin and some of foreign, some were daughters of peasants and farmers, others of craftsmen or merchants and land owners. The Cappelen daughters married into families as different as their mothers' families. Quite often there were marriages between relatives -closer or more distant ones- and often the couples' parents were friends, business acquaintances and the like. During the 20th century some Cappelens have settled in other countries -as the US, Sweden, Austria and even Germany. In Norway the Cappelens have taken part in the rapid development of the country as regular citizens, businessmen, civil and military servants, lawyers, architects, artists etc. Several Cappelens were resistance fighters during the Nazi occupation of Norway 1940-45. One of them, Hasse (Hans) C. (Skien branch) was much tortured and sent to concentration camps in Germany, later being Norwegian witness at the Nurenberg War Trial. His brother (and my father) Dixe (Didrik) C. succeeded in escaping from a Nazi-prison and death penalty. In the 20th century many family members have been active in politics. The Norwegian prime minister Gunnar Knudsen (d.1928) was married to Sofie C. of Branch II ("the Borgestad line"). Members of the King's cabinet after World War II were Johan C.S.C of Branch I, and Andreas Z. C. of Branch II. Other members of the family have been members of the Storting and of local councils etc. The colours of the arms have varied through the centuries; the oldest being the 1st field blue with silver pelican, and the 2nd field silver with red/green roses. The horns are silver, Fortune is of natural colours but with silver sail and orb. Above you see the arms of the Skien-branch reproduced in colour from a drawing made by Jan Raneke, Sweden. The arms were assumed in Norway by the family without any royal grant or the like. This was according to Norwegian law and the family's right to the arms was soon well established, as it was repeatedly used in seals on official documents, on decorations in churches, on an iron grave monument, painted on costly wagon doors etc. We have no traces of any arms for the family in Wildeshausen. But the very first Johan v. C. had in 1619 a seal with an elaborate house mark in a shield. (House marks consist of geometrical lines only.) We don't know any other copies of that house mark from family members. which is Latin and means "Diligence crowns the man". (about J.W.Cappelens Forlag |the publishing house|).